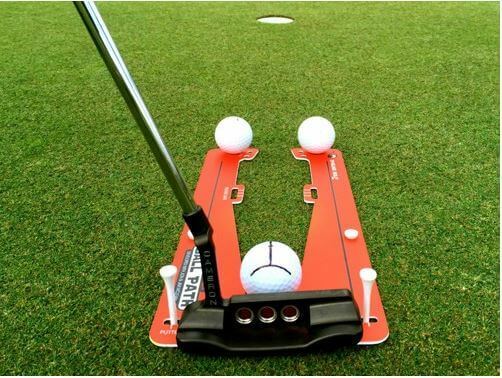 A two piece construction comprised of two trainers: one for perfecting your putter path and one for ball path. 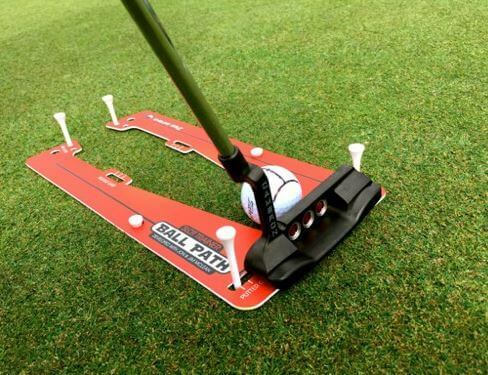 Lay down the Path Trainer and you will create your ideal path for your putter. 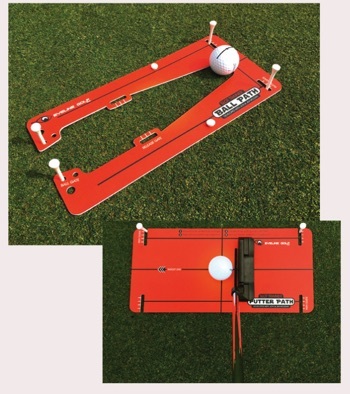 Set up the Ball Path piece – you will have gates for your putter to swing through and a gate to make sure you are starting your putt on the intended line. Thin (1/16″ PVC) to not affect the height of your stroke, and portable for use for use anywhere, anytime. Includes carry case.